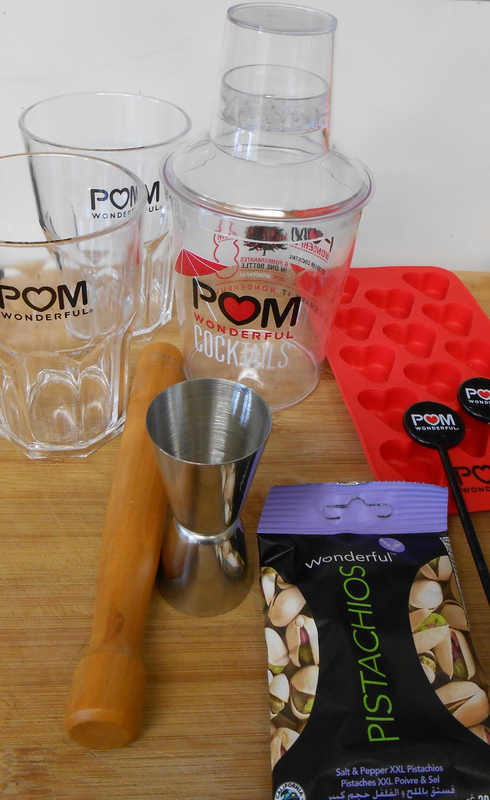 Apple, Lime and Pomegranate Cooler, POM Wonderful review and Cocktail Kit Giveaway! Have you ever tried to juice a pomegranate? I have and it was an expensive, time consuming, mess. I got more juice on the kitchen floor and cupboard doors than in the jug and I wound up going to the supermarket to buy a bottle of POM pomegranate juice, already squeezed for me. I recall as I pondered the juice aisle, looking at the options for pomegranate juice – there was POM and there was a supermarket brand. The supermarket brand was incredibly cheaper but a quick glance at the ingredients explained why – Water, Pomegranate Juice from Concentrate, Apple Juice from Concentrate, Aronia Juice from Concentrate, Sugar, Citric Acid, Vitamin C, Flavouring. Compared with POM’s ingredient list of 100% pomegranates and nothing more, I was and continue to be, happy to pay that little bit extra for pure juice. 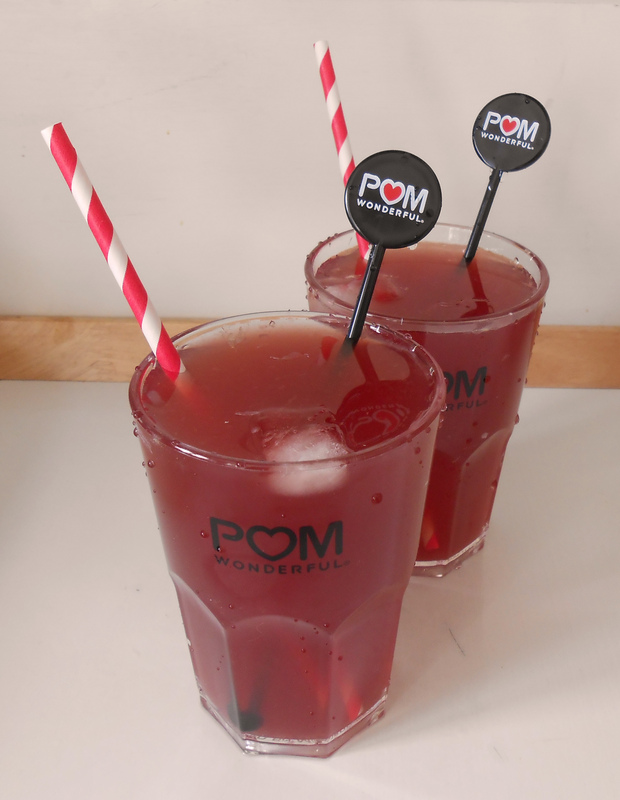 POM Wonderful doesn’t need to add things like Vitamin C to their juice as pomegranates are naturally high in a range of vitamins and minerals such as Vitamin C, Vitamin K, Potassium, Folate, Copper and is are also a great source of fibre. They are also filled with unique phytochemicals and have been used for over 8,000 years for their medicinal properties. Each bottle of POM Wonderful contains high levels of antioxidants which help protect cells against the damaging and ageing effect of free radicals. Studies have also shown that pure pomegranate juice can help with lowering cholesterol and prostate cancer. The Pomegranate contains more polyphenol antioxidants than the blueberry and green tea, and what’s more, it’s delicious! 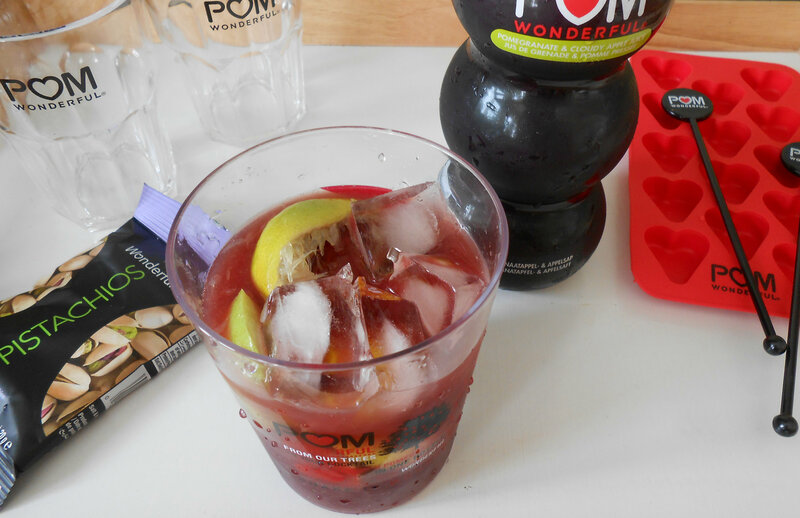 I’ve teamed up with the team at POM Wonderful to bring you a delicious drink recipe, taking that pure juice to the next level and also to offer three lucky readers a super fun POM Wonderful Cocktail Kit! 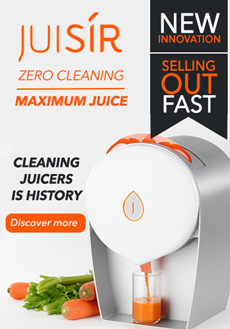 It contains all the tools you could need to create a plethora of delicious drinks and cocktails with POM juice and more! The kit includes a cocktail shaker, measuring beaker, 2 cocktail glasses, cocktail muddler, 2 stirrers, ice-cube maker and bag of Wonderful pistachios. The giveaway is open to UK residents only. This cooler is refreshing and zingy with lime, perfect for the last days of summer but also great to refuel and re-hydrate after a work out or any time you need a pick-me-up. Add the chopped apple, juice of the lime and the fruit to the cocktail shaker base, use a muddler to press the ingredients together to extract as much juice and flavour as possible. Top with the juice, sweetener and the ice cubes and mix with the muddler. Leave to infuse for 10-30 minutes. Add the lid to the shaker base and shake to combine all the flavours well. Pour into glasses and top with sparkling water and adjust sweetness to taste. 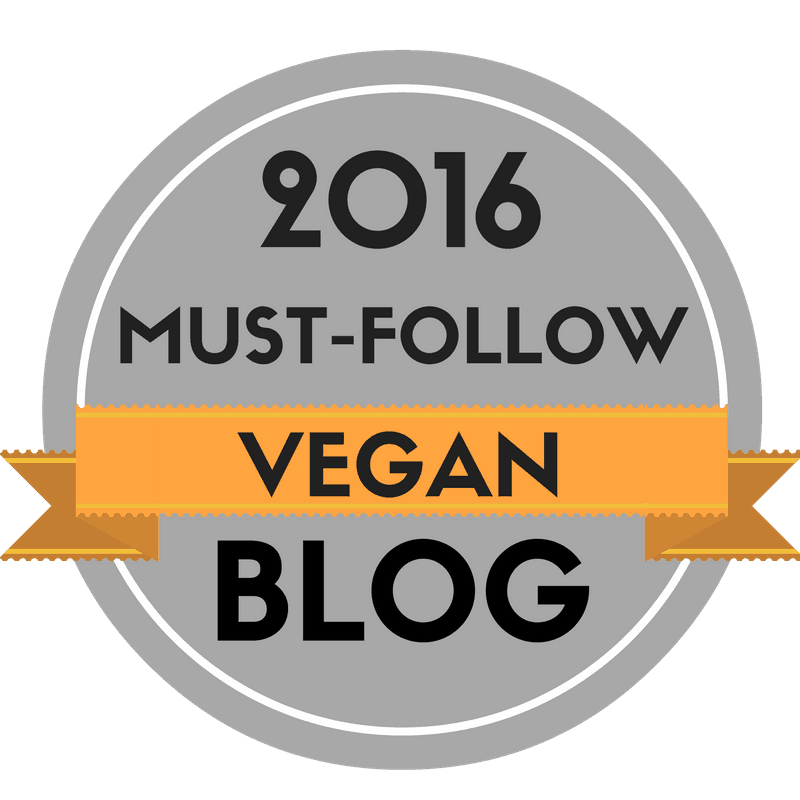 This entry was posted in Uncategorized and tagged dairy free, drinks, giveaway, pomegranate, vegan, vegetarian. Bookmark the permalink. 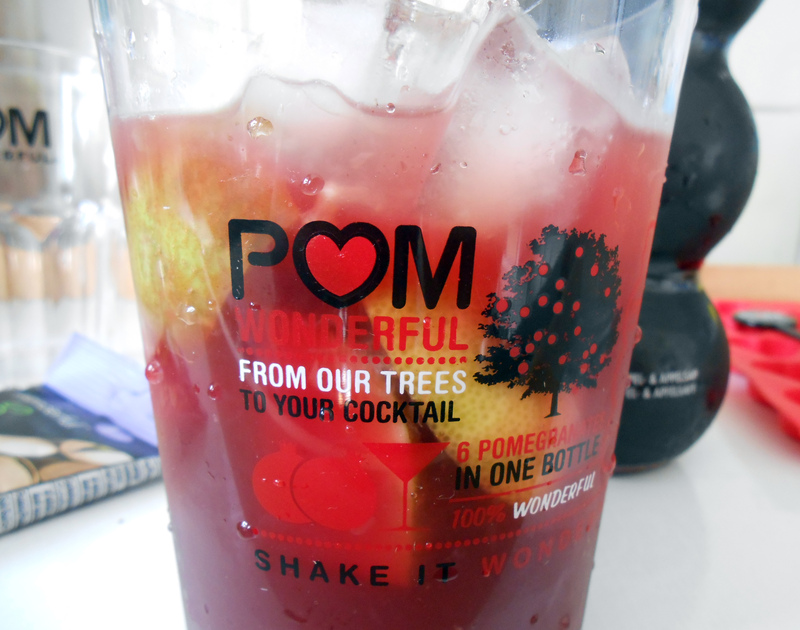 16 Responses to Apple, Lime and Pomegranate Cooler, POM Wonderful review and Cocktail Kit Giveaway! Looks so refreshing, Poppy! I love POM! Seriously perfect looking for the late summer heat! it says to add the fruit, what fruit? The lime fruit after squeezing the juice. this looks amazing and soothing drink …. This looks lovely. I love the colour of it! Thank you! I love the colour too!